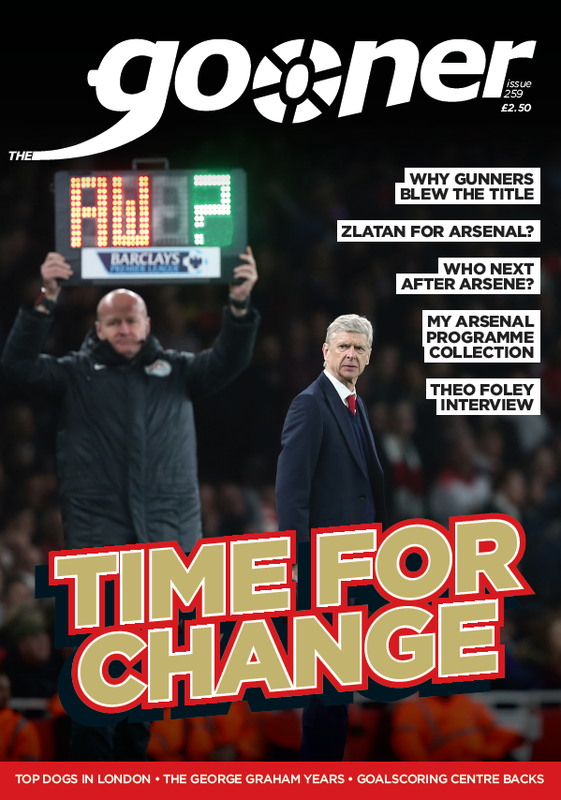 Issue 251 of The Gooner from May 2015. 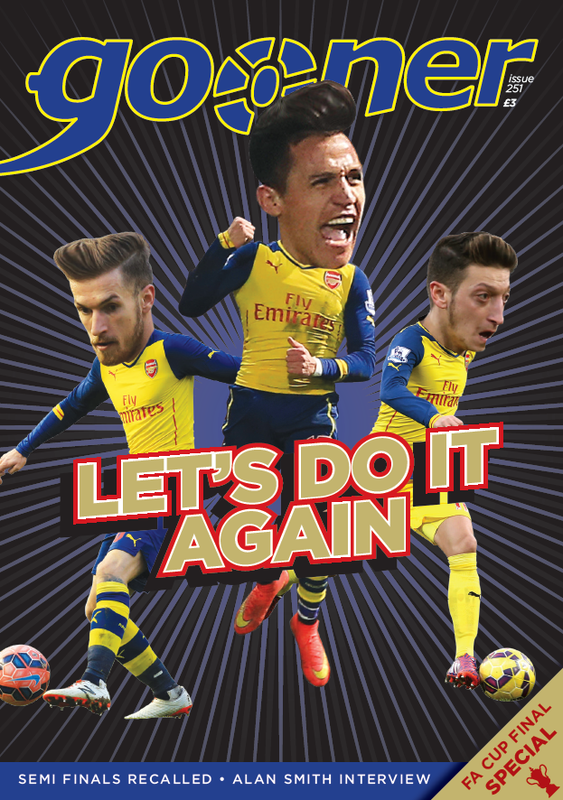 The last issue of the 2014-15 season is a bumper 64 page special looking forward to the Cup Final against Aston Villa. 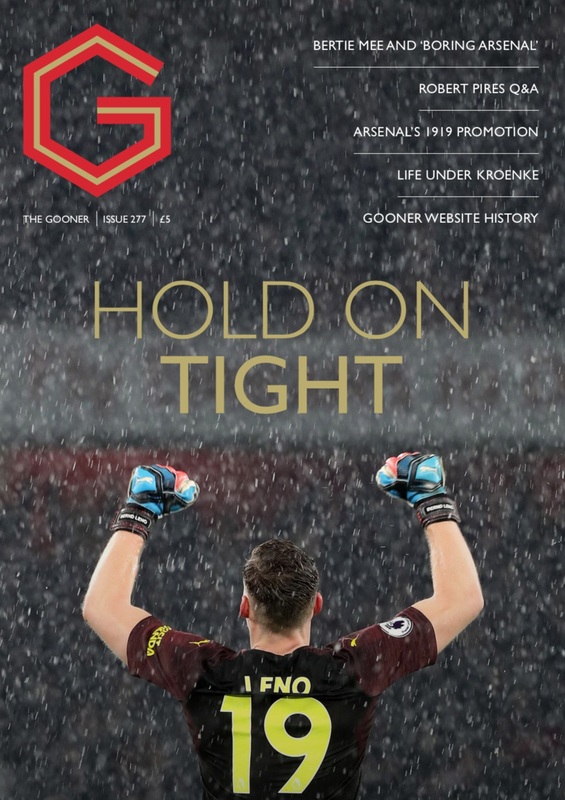 There is a piece on the tense victory over Reading, as well as a special feature on past FA Cup semi-finals which Arsenal have played dating back to the early 70s – most, but not all of which ended triumphantly. Peter Le Beau reminisces about the Magic of Wembley and his visits to the national stadium. He admits he has lost count of the number of times he’s walked down Wembley Way to watch Arsenal and reminds us of how lucky we are to support a team which gets there so often. 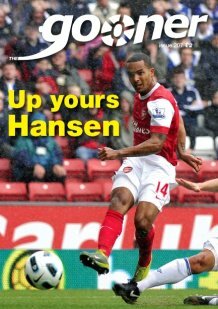 We also asked Gooner contributors to pick a figure who symbolises what the clubs to them and explain why. 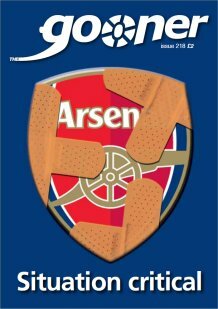 Amongst others, Bob Wilson, David O’Leary, George Graham and Arsene Wenger are all chosen for reasons which are varied and interesting. 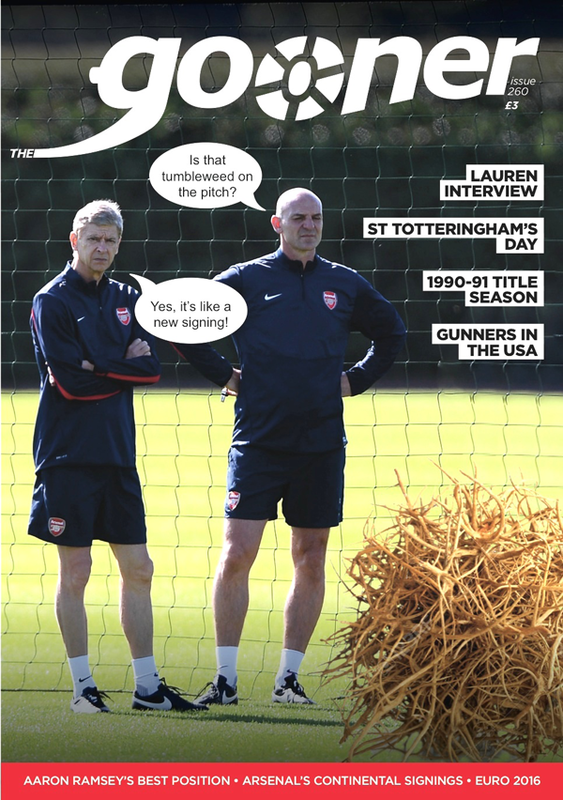 We couldn’t let the 20th consecutive St Totteringham’s Day pass without reference and Ian Henry provides the details of how Spurs “have been in our shadow,... floundering in our slipstream, minding the gap [and] eating dodgy lasagne” for two decades. A thoroughly enjoyable read! 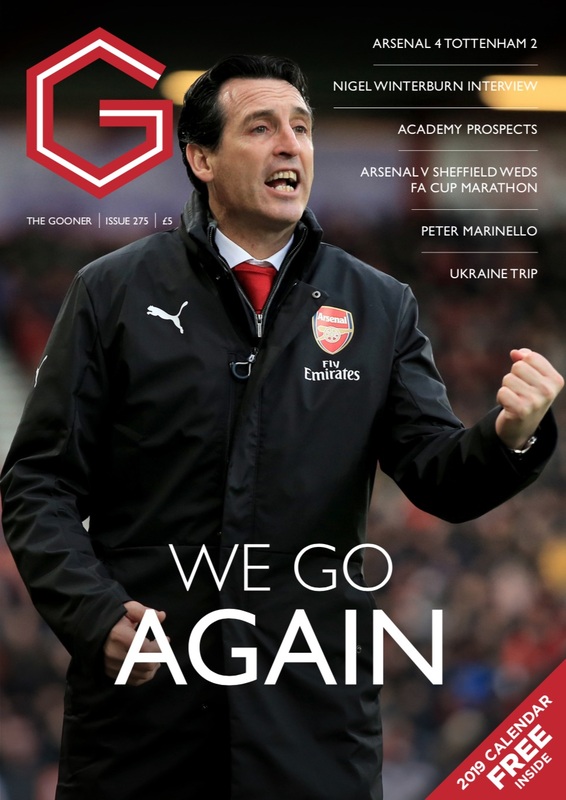 There’s much more including the second part of our interview with Alan “Smudger” Smith, an article on who may follow Arsene Wenger into the hotseat at Arsenal, a history of the Gooner Podcast which has now racked up over 130 episodes and articles on Doug Lishman and George Eastham. 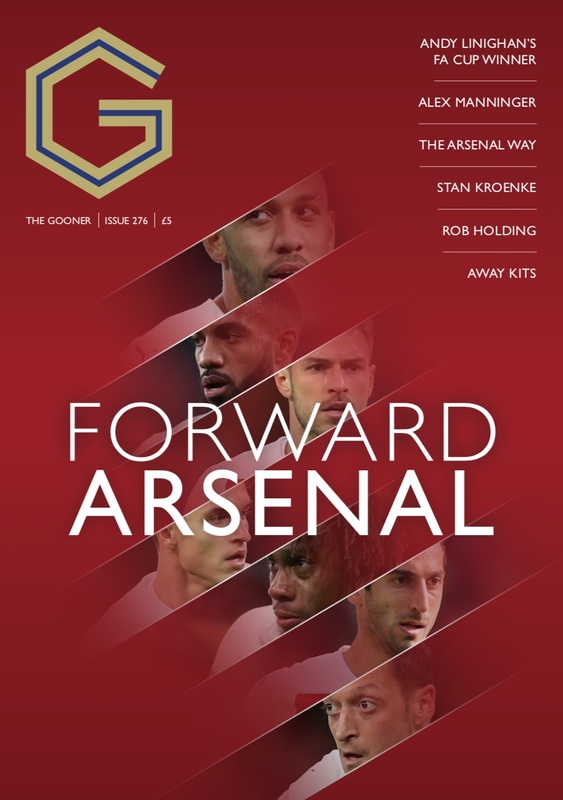 All this and then there’s the regulars as well – The Spy, Mickey Cannon, Anger Mangement, In the Away End, Inbox, Dwight Hart-Lane and another trip down memory lane as Phil Wall’s Programmes Through The Years series reaches 1981-82.